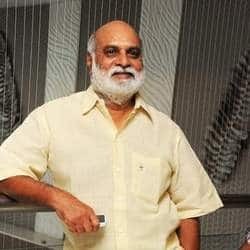 Popularly known as Darsakendra, K. Raghavendra Rao started his career as a director in 1975 with Babu. He is one of the most successful directors of Telugu cinema who has directed over 100 films in multiple genres. He has directed commercial blockbusters like; Gharana Mogudu. Pelli Sandhadi, Annamayya, Manjunatha and Aame Katha.